This week the Horror Duo take a look at a pair of giant robot movies produced by Charles Band. 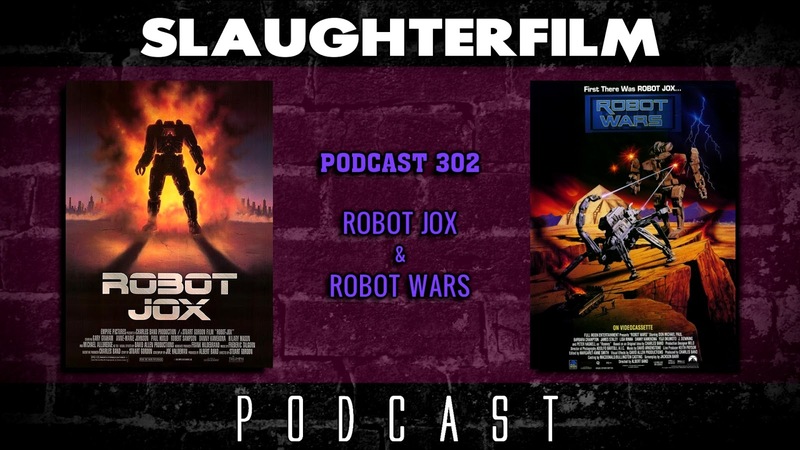 Cory begins with Robot Jox - the futuristic stop motion mech movie that has grown a cult following over the years. Forest takes on it's pseudo-sequel, Robot Wars, which has a hero that may have kidnapped a woman. They also chat about the next Slaughter Film Presents hosted by the Erie Movie House - now featuring the crafted eats of a food truck! And make sure to leave your comments in the form of a voicemai. For more Slaughter Film news and reviews, as well as show notes and special events, make sure to visit our website; SlaughterFilm.com.